MEMAC OgilvyOne have launched a Facebook app for Panadol Actifast, inviting users to tag their photographs to create mini animated stories. The idea is that with Panadol Actifast’s quick relief from pain you never need miss a moment. “It’s my moment, it’s my choice”. 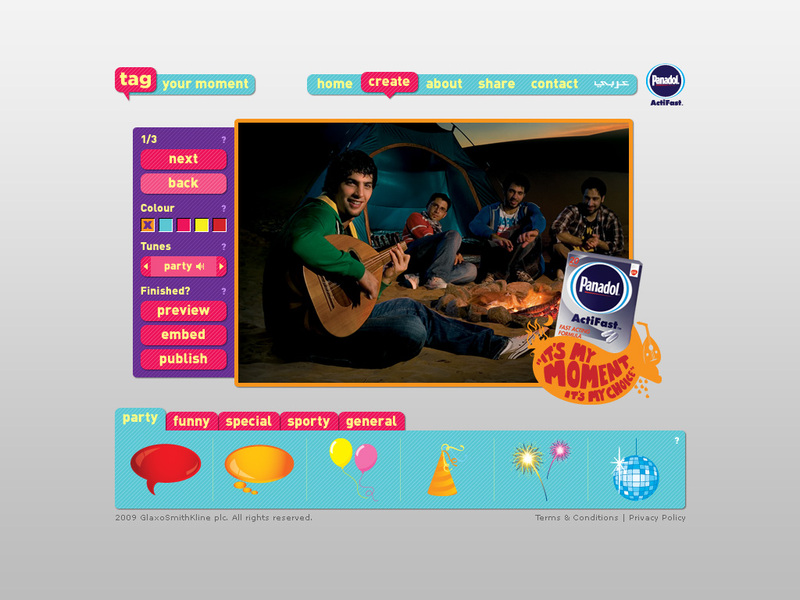 Online at www.tagyourmoment.com and on Facebook, users choose their Facebook photos and tag them with fun icons, animations, music and more, creating mini animated stories. These branded moments are then shared on Facebook, blogs, Twitter, and so on. 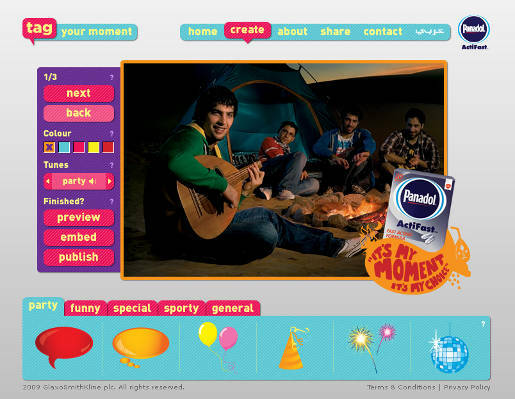 The Panadol Tag Your Moment app was developed at MEMAC OgilvyOne, Dubai, by executive creative director Till Hohmann, creative director Preethi Mariappan, art director Rafael Guida, copywriter Melanie Clancy, Flash developer Srabjeet Singh, web developers Muhammad Baqir, Mohammed Sayeed, and account manager Sarah Friswell.